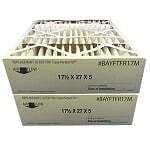 The Trane Perfect Fit BAYFTAH26M2A Filter 26x21x5 is a furnace air filter that fits several high efficiency air cleaners from Trane. 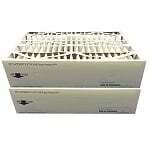 This Trane air filter boasts a MERV 8 rating for the reduction of particulates in your air, including dust, dirt, and allergens. 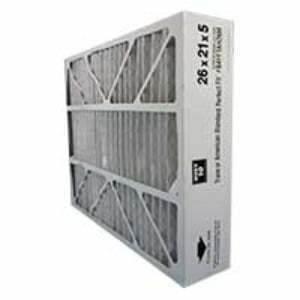 This Trane Perfect Fit filter measures approximately 26" x 21" x 5" and has a filter life of 6 months. Approx. 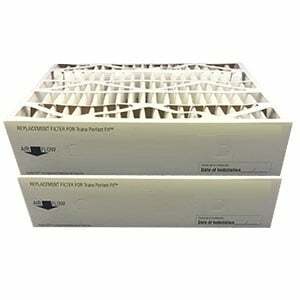 dimensions: 26" x 21" x 5"
Actual dimensions: 25.7" x 20.1" x 5"